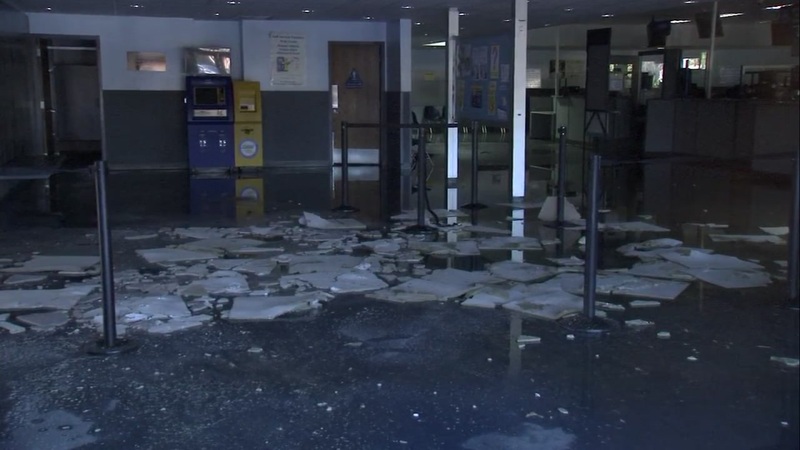 OAKLAND, Calif. -- The Department of Motor Vehicle's Oakland Coliseum office will reopen Monday after being closed for more than a month because of flood damage that was allegedly caused by the theft of copper wire. The DMV office, located at 501 85th Ave., will resume all services including driving tests starting Monday at 8 a.m., DMV officials said. On Feb. 7, DMV personnel discovered a water leak in the building. The leak made its way through the roof and ceiling and caused flooding inside the building. Immediately after the discovery, California Highway Patrol investigators determined that a suspect somehow got onto the roof of the building the night before and stole less than $50 worth of copper wire from the building's heating, ventilation and air conditioning system. At the time, the CHP estimated that the damage ultimately caused by the theft was worth tens of thousands of dollars. After removing the water and drying the damaged areas, repair crews replaced the office's carpet, removed and replaced drywall and repaired parts of the ceiling, DMV spokesman Artemio Armenta said. An estimate of the total cost of the repairs was not immediately available. It was not immediately clear if anyone has been arrested in connection with the copper wire theft.